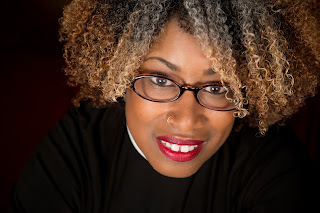 Gafney is the author of Daughters of Miriam: Women Prophets in Ancient Israel and co-editor of The Peoples’ Bible and The Peoples’ Companion to the Bible. She is an Episcopal priest canonically resident in the Diocese of Pennsylvania and licensed in the Diocese of Fort Worth. A former member of the Dorshei Derekh Reconstructionist Minyan of the Germantown Jewish Center, in Philadelphia, she has co-taught courses with and for the Reconstructionist Rabbinical Seminary in Wyncote, Penn. In her lecture, Gafney will draw from her forthcoming book, Womanist Midrash: A ReIntroduction to the Women of the Torah and of the Throne (in press, Westminster/John Knox Press), to analyze a group of biblical narratives, translating and interpreting them in light of womanist and feminist scholarship and hermeneutics. Sponsors of the event include Whitworth’s U.S. Cultural Studies program, the Office of Student Diversity, Equity and Inclusion and the Office of Church Engagement. Katherine Karr-Cornejo, assistant professor, World Languages & Cultures, Whitworth University, (509) 777-4371 or kkarr-cornejo@whitworth.edu.